The Finance Minister says many households are paying €1000 a year for television packages. 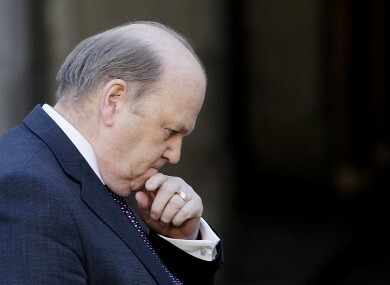 THE MINISTER FOR Finance Michael Noonan has said the majority of Irish households have paid-for TV packages and, therefore, many would be able to pay the household charge. The point I am making is that a very strong case can be made about how badly off the country is but that is not true. There are people who are very badly off and there are more people badly off now than ever before but there is a whole generality of people who are paying their way. I am only using what people pay for a television product in their homes as an example and this measure is an awful lot less. Many people will pay less in property tax than they will pay for a television licence. The charges are quite modest and they will be spread across 1.9 million household units and that allows us to keep the rates down. Email “Noonan: If people can afford high-end TV packages, they can afford the household charge”. Feedback on “Noonan: If people can afford high-end TV packages, they can afford the household charge”.